I was fortunate to play an early build of Razed at PlayExpo Manchester in 2017, and it was a game I kept on my radar afterwards as it was highly addictive, fast-paced, and one of those “just one more try” kind of games. Now that the full version has released on Xbox One, I am certainly glad I kept an eye out for it. 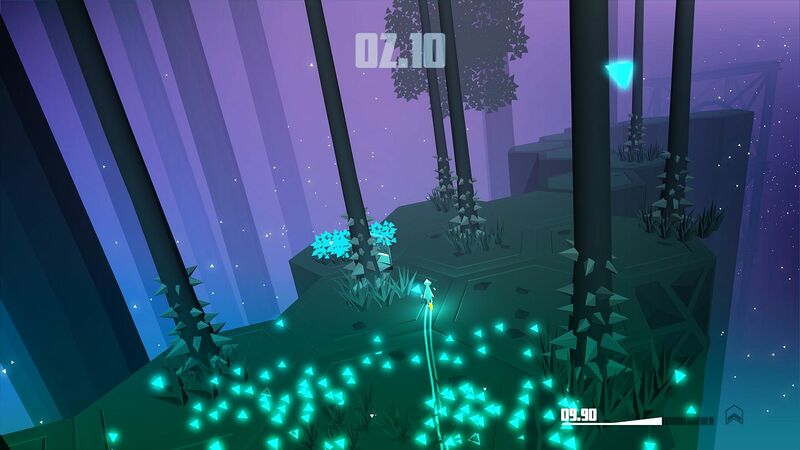 Razed is a single-player racing platformer where you race against the clock over 60 levels split into six distinct areas, attempting to get the fastest time possible. It’s a game that is all about momentum and well-planned jumps though because the shoes you wear are actually explosive devices and will explode if you haven’t built up enough kinetic energy by running along the ground. Think of it as the movie ‘Speed’, but your trainers are the bomb. And they can talk. Your energy bar is displayed around the base of your avatar and also shows the point you need to reach on it before you can execute certain abilities such as Jump or Stomp, as these skills will deplete a large amount of that bar. 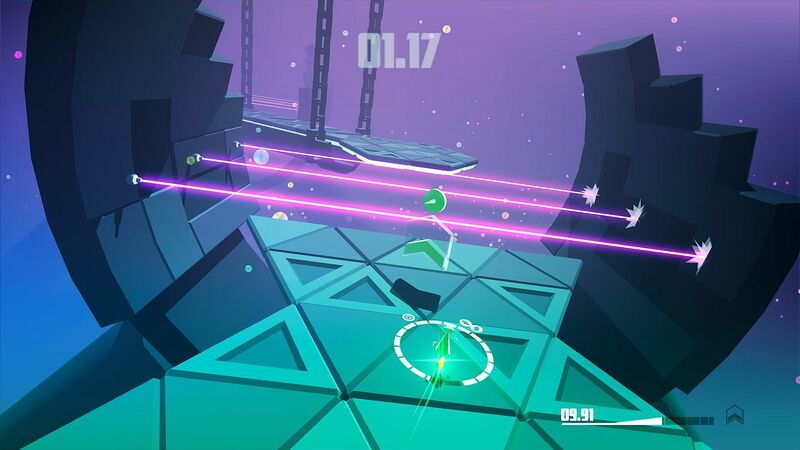 This prevents players from aimlessly jumping around levels, fluking their way to the finish line. There are also energy pickups dotted around that fill up your energy bar. These quickly become essential pickups in order to finish the levels and allow for you to compete for the best times. 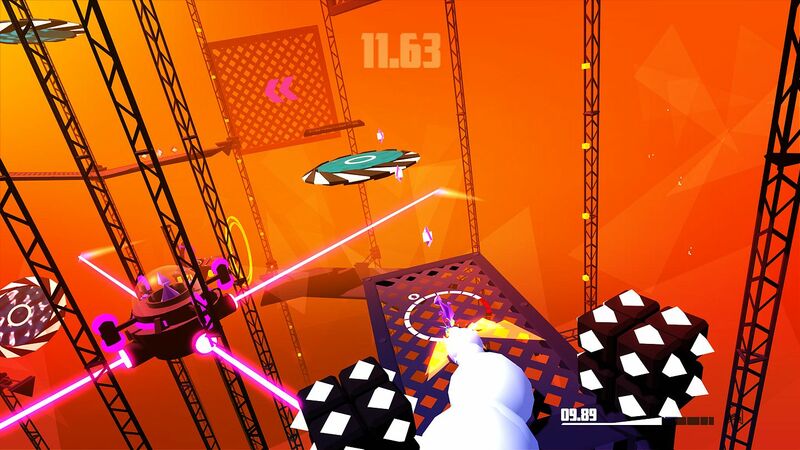 Later on, additional skills can be unlocked including Drift, Boost, Strafe and Grip – all do as their name suggests. They can however also be upgraded if you find the upgrade tokens, hidden on trickier, alternate routes to the finish line. These abilities will be crucial as you aim for the best times, so much so that you need these to even get close to an A grade on most levels. If you do manage an A though, then you will unlock bonus levels for each world and in these is another upgrade pickup, this time for an ability called Fusion. You’ll need to complete all six of these to unlock Fusion mode, which essentially removes the energy bar from use, and will allow you to reach the higher rank S grade times much easier. On top of this, Razed even includes a narrative to string these levels together. Of sorts at least – just don’t be expecting a gripping tale of love and revenge. 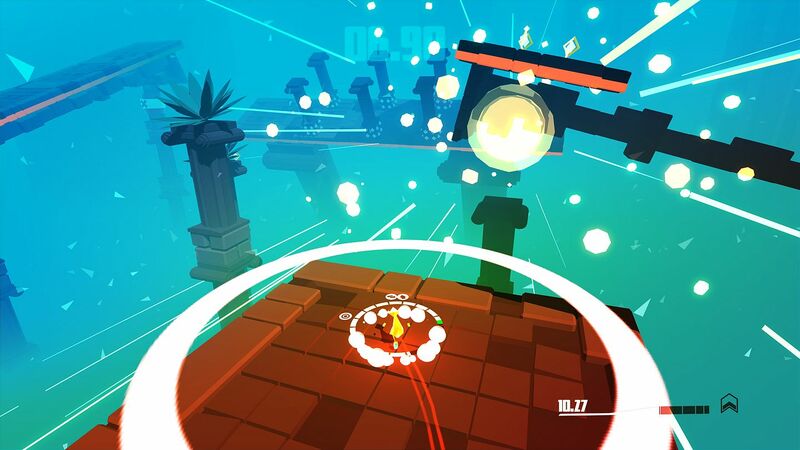 One of the best features of Razed is that you will learn to love its reset function – enabled by pressing the Y button – and especially the speed of which the levels reset. Razed is a game of trial and error, trialling different routes and paths to shave precious seconds off your time, so to have a reset function that does not require any additional loading is an absolute godsend. It may seem trivial at first, but you will quickly appreciate it fully. Even with these resets, some levels will still get the better of you. Thankfully, there is also a Skip feature. You have up to three Skips where you can move past a level that is causing you a lot of trouble, allowing you the opportunity to come back later when your abilities, or your personal skills, are upgraded. However, for as decent as the gameplay is, there are some issues with the sound. It seems to be triggered when using the Stomp ability to destroy or manipulate the level; the audio can’t quite keep up with the action on screen and slows down. It doesn’t sound all that healthy but is able to quickly right itself when the action is less intense. Remember though, this has no bearing on the game so whilst I feel it must be pointed out, it is only a minor issue. To many people, Razed may sound like one of those games where controllers get broke, TVs get smashed or the wall nearest to you suddenly receives a fist-shaped hole. And whilst it can be frustrating attempting the same level literally hundreds of times sometimes just to finish them once, that frustration can never be levelled at the game itself. Razed may be punishing at times, but that is only always down to the player themselves. Never have I felt cheated, always understanding where I went wrong, and that has ensured that my surrounding area has been safe from any airborne controllers. It’s hard, yes, but 100% fair at the same time. To top it all off Razed looks the part as well. Bright, sharp colours, straight lines for days and enough variety between the environments to make it noticeable, Razed certainly aimed for a certain aesthetic and nailed it. Razed comes with 42 achievements but many of those aren’t easily attainable. Each run is graded according to the time taken and there are achievements for achieving A grade and the superior S grade across all tracks, but the times for these mean pretty much faultless runs and having most of the upgrades beforehand will be required. Another interesting quirk is the list of 17 achievements that are worth 0 points. These are mainly for unlocking the abilities and then milestones with each one, which means the ones for reaching the upper echelons of the grades are worth a lot Gamerscore wise. At the end of the day, Razed is one of the more superior games to come out of the [email protected] initiative; it gets a lot of things spot on, and it never feels unfair which – for a game of this type – is an achievement in itself. Priced at £9.59, this is very fair and with the way the abilities are set out, you easily get value for money.